Whip cream in a stand mixer or with a hand mixer along with sugar until stiff peaks form. Stir in the sour cream and whisk until combined. Combined the chopped fruits in a small bowl. 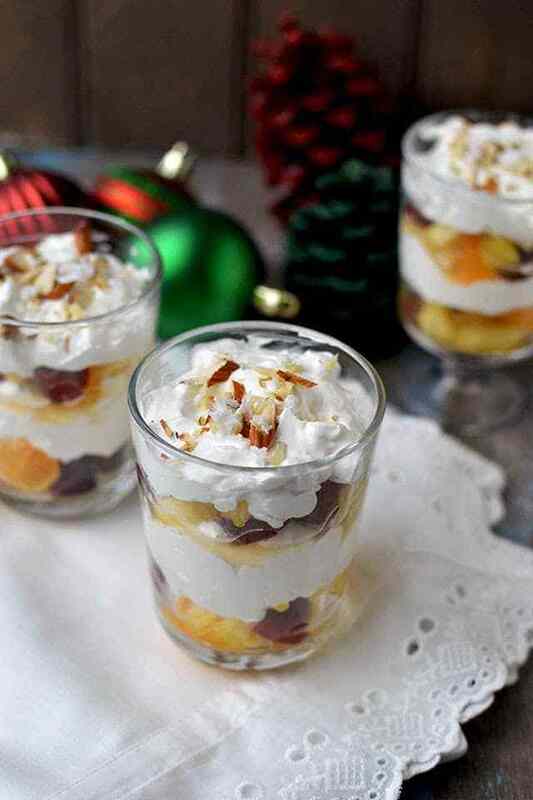 To Assemble: Spoon the mixed fruit in the bottom of the serving glasses/ bowls, top with the whipped cream mixture and grated coconut. Repeat the layers until the top. Chill for at least 2 hours and serve cold.